Erroll, by author-illustrator Hannah Shaw, is a fun children’s book written especially for the nature-lover (and peanut butter lover) in your classroom. One day a boy named Bob finds a hyper, hungry, fun-loving squirrel named Errol in his snack package of Nutti Nutts. Bob is fascinated and they become fast friends. In fact, Bob generously makes Erroll a peanut butter sandwich…and soon discovers this was absolutely the WRONG thing to do. Erroll proceeds to tear Bob’s house apart – all in good fun, of course. He spits crumbs when he chews, climbs all over the furniture, and leaves sticky, peanut-buttery footprints all over Bob’s mom’s wall. When Bob’s mom discovers Erroll the talking squirrel and sees the mess he made, she decides he must be returned to the wild as soon as possible. So Mom and Bob and Erroll set off to return Erroll to the woods, where his family lives. Hannah Shaw sprinkles this fast-paced book with hilarious pictures of spunky squirrels who love, love, LOVE peanut-butter sandwiches. 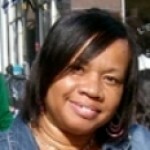 She uses warm fall colors of orange and green in her illustrations, reminding readers of fall leaves and darting squirrels. 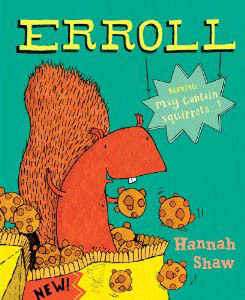 For a delightful romp with a peanut-butter-eating squirrel, be sure to get your own copy of Erroll.